The plane was the winner of the US Air Force's competition to build the Next Generation Trainer (NGT) program to replace the Cessna T-37 Tweet. The aircraft first flew on October 15, 1985, but was cancelled a little more than a year later, for reasons that largely remain controversial. 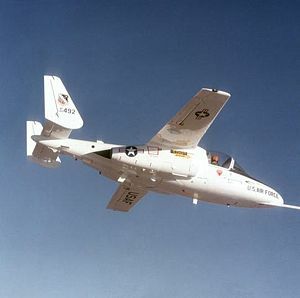 The T-46 was the last project of the Fairchild Republic Corporation, and after the program termination Fairchild had no more income. Without any new contracts and the NGT program cancelled, the company closed the Republic factory in Farmingdale, New York, bringing 60 years of Fairchild aircraft manufacturing to an end. 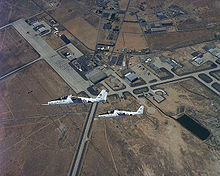 84-0492 can be seen at the Air Force Flight Test Center Museum at Edwards Air Force Base, California.